Sorry just got bored again -slaps self- bad habit of mine! -shot-. To be honest, I actually like writing things like this now at my age now....which is odd. I like to talk to random people on here! 8D Well no...not strangers, but I like to share what I'm feeling and lately I've been giving some advice to some people, if anyone needs advice or what not I'd love to help! OH DEAR HOLY SMEXY SYAORAN GOD! I AM SO SORRY FOR NOT UPDATING SINCE DECEMBER! I HAVE BECOME SO LAZY! AND OMG I'M SO SORRY! I WILL TRY TO UPDATE AS MUCH AS I CAN! *^* HONTOE GOMENASAI! -First of all school life is getting better, i have been getting really nice top grades! OMG I had this really hard practice paper for Geography and OMG I GOT AN A GRADE! I was 4 points off an A*! OMG i literally screamed in the lesson, and usually I'm always quiet in the lesson! MEP parts on youtube have been hectic! I keep gaining so many parts, and sometimes I just dont know how to say no you know? Gawd that felt wierd to write xD haha well I hope everyone has had an awesome half term! I know I did! lol I went skiing with my friends in Austria and omg it was so beautiful! There were a lot of funny incidents and the prawns..lol Don't ask about the prawns we kind of went crazy and drunk but it was so funny! For this term I'm going to be abit busy as I have 2 controlled assesements which are really big and an exam. An R.E. exam and French writing and oral examination and Spanish written and Oral exanimation. Wish me good luck ne? Oh and recently Japan has been suffering due to the tsunami and the earthquake which is horrible! 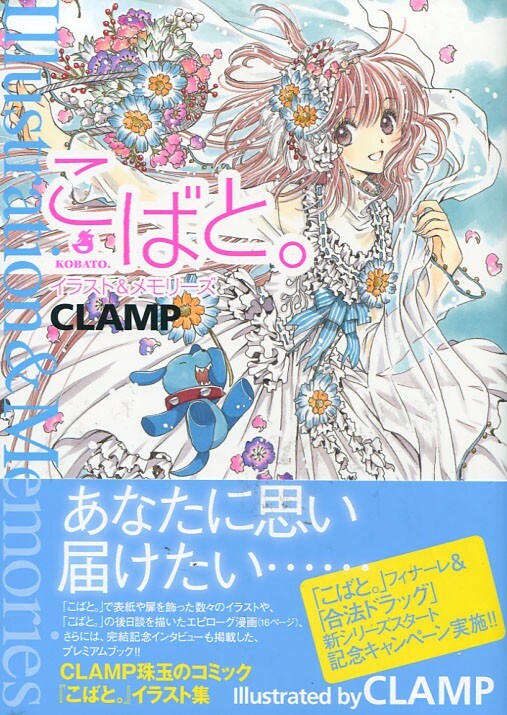 Thank God CLAMP came out ok! But there were still so many people in Japan who suffered! Please donate if you can mina and support those people who need our help! Are you going to have auditions soon? Can you please subscribe to me? Can I join in your MEP? Only Studio Members I'm afraid. Recently there have been so many songs which I have been addicted to and one of them is when i go down by relient k! I love that song! I'm nearly done with this amv i'm doing, which is dedicated to the Japan disaster 2011. BTW! if some of you look at the banner and day it hasn't been actually edited with all you have done is add the name onto it, well actually go and look up the actual wallpaper and see for yourself! it's actually very different syaoran's sword is gone! and so is some of sakura'sface. And other features to the wallpaper. So yeah I'm still trying to upload the other screen shot of my project but it's not working^^" So gomen mina! I'm back! lol I've decided I will update this blog once a month as I have things to do...and I can't be really bothered :'D. Anyways! It's nearly xmas! OMG! yh!!! School is over as well thank god! I have 3 weeks away from the hell house! yesh x3 I had went over to a sleepover of my friends gibbi, alaa, mits, juliet, me! We got so drunk in the night! xD hahaha And before we went back to my friend's house we went to town shopping yh! A girl has needs! And my friend Alaa and I were like doing mission impossible trying to buy a cake and cards for my friend gibbi as it'll be her b-day!! There was this freaky spanish horror movie and I watched in class called the orphanage! but of course the title was in Spanish but I'll just write it in english as maybe some of you guys dont understand it....tsk tsk tsk. And I have decided to put my T A K E N project on hiatus as I have lost inspiration for that song, therefore I will start another project while I take a break on the huge project. The project I'm doing now is about the clone syaoran's p.o.v. and how fei wong corrupted his life, with the blue eye and his power he held over the clone like a puppet on strings. So! This is first k-pop AMV I shall ever be doing! Pop editing isn't one of my strongest actually...but hey i'm up for anything! I actually prefer doing raw editing but I'm worried on what my subscribers think. But I'll probably upload all of the raw editing style amvs I have done out of boredom on my back up account. But we shall see! Anyway! back to current project! My current project is called "Mirotic" And the artist or shall I say artists are called DBSK^^ And here are some screen shots of my project that i will DEFINITELY UPLOAD! Ok! see you next time guys! Love you!